Political Divisions: Since taking office, Morsi’s government has exhibited "authoritarian tendencies," says Coleman. Party members and their allies have been appointed to leadership roles throughout the country, while the powers of the judiciary and civil society organizations have been curbed. The government "has run the country much as a one-party regime," she says. Economic Angst: Tourism, foreign exchange reserves, and the value of the Egyptian pound have continued to fall since Morsi’s election, says Coleman. Egypt also faces increased unemployment and growing food and energy insecurity. "The political fighting of the last two years has left the country economically adrift at a time when it desperately needs leadership to address its pressing economic challenges," Coleman emphasizes. Military Intervention: The Egyptian military has threatened to intervene if the government does not resolve the outrage. While some Egyptians welcome the ultimatum, such an intervention could set back Egypt’s push for a stable democracy, says Coleman. 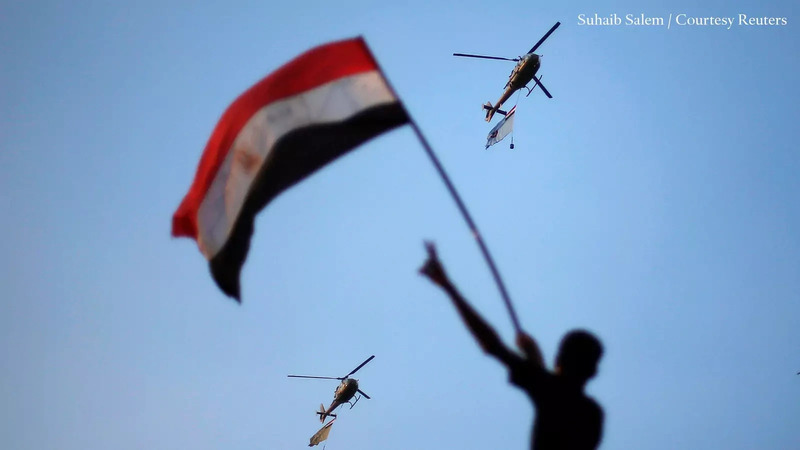 The transition to democracy will only be as strong as the Egyptian will to address the issues through political compromise, Coleman argues, rather than "falling back on the country’s military."